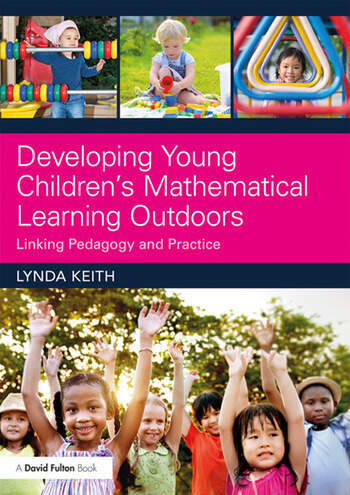 Developing Young Children’s Mathematical Learning Outdoors provides detailed guidance and practical advice on planning mathematical experiences for young children outdoors. By examining the key features of a mathematically rich outdoor environment, it illustrates how this can motivate children in leading their own learning and mathematical thinking. Drawing upon the author’s wealth of experience, the book provides support for students and early years' practitioners in developing a deeper understanding of how to plan quality experiences, which combine pedagogy with effective practice. Covering all aspects of mathematics, it identifies meaningful contexts and shows how adults can use open-ended questions and prompts to promote children’s mathematical play outside. With rich case studies and reflective questions included throughout, as well as suggestions for useful resources to put the ideas in the book into practice, it is essential reading for all those that want to develop curious and creative mathematical thinkers in the early years. Lynda Keith is an Education Consultant, Adviser and Writer, based in the UK. She has been involved in the teaching of early years' and primary maths at initial teacher education and in leading professional development for local authorities and individual school and nurseries for 40 years.